What is SCRAM and How can I get this Bracelet off of me?! 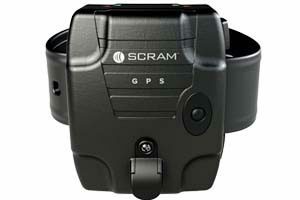 Many counties in PA are requiring those arrested for DUI to wear a SCRAM bracelet to monitor their alcohol level. SCRAM stands for Secure Continuous Remote Alcohol Monitoring. The bracelets are attached to a person’s ankle and test for alcohol levels in sweat. SCRAM bracelets are very costly. Not only do they cost over $100 for installation, you will be required to pay around $400-500/month for the continual monitoring costs. Not only are these bracelets costly but they are a form of public humiliation. You probably face questions on a daily basis about why you have to wear this thing. It’s a modern form of “The Scarlet Letter”. If you have been ordered to wear a SCRAM bracelet or have been charged with a DUI and are afraid that you will have to wear one, call us today. We are experienced with these cases and will fight for you to protect your rights.